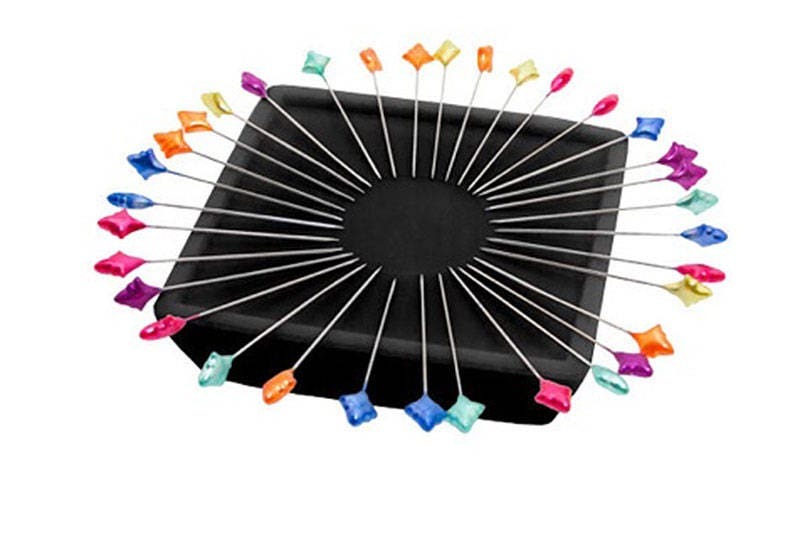 Magnetic Holder (Pin Cushion) that repels & separates items to the edge in a fanned out pattern placing them in a ready to pick up position. Functional as it is fun! Weight allows it to also be used as a paper weight! Size: 4" x 4" x 1". The perfect tool for your craft room, sewing studio, office desk or work shop. Use with pins, paperclips, screws, keys and more! Any metal items can now be organized!